International Game Technology, a Las Vegas-based computerized gaming equipment designer and producer has announced it is putting its recently acquired Entraction Poker Network to rest. 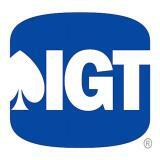 After purchasing the network last year for $114 million, IGT has decided it is in its best short- and long-term business interests to shut down the poker network. Gaming Control Board Chairman Mark Lipparelli had applauded IGT in its attempt to proactively bring Entraction into compliance with gaming laws in jurisdictions throughout the world. As liquidity in Entraction continued to plummet, it also withdrew from several markets, including Spain, Canada, Norway, Israel, Turkey, Russia, and Belgium. “As part of our regular business process, we have been evaluating our resources, products and markets from a commercial and compliance perspective. As a result, we are consolidating our product development, allowing us to combine a number of locations and focus on the most attractive opportunities. “We remain focused on our interactive casino/slot offering, which has experienced steady growth; as well as our successful social gaming offering with DoubleDown Casino and look to integrate the Entraction products into our overall set of platform offerings. The last day of operations for the Entraction Poker Network is December 10, 2012. Some of the larger poker skins on the network are currently seeking other software platforms; it is speculated that several will roll over to Microgaming. The smaller rooms, however, aren’t expected to survive. Customers currently playing in rooms that are part of the Entraction Poker network are advised to keep in contact with customer service representatives. Larger poker rooms may already be proactively notifying members. In general, poker accounts will not be altered in the event of a software change, an occurance that is not uncommon in the online poker industry. The Entraction-run European Masters of Poker tour currently playing in Barcelona, Spain is now under review. IGT is continuing to move forward, coming off a recent “win” by becoming one of the first operators to receive an interactive gaming license from the Nevada Gaming Commision. Early in September it had also signed a deal that puts its Double Down Casino social app on the Hard Rock Hotel and Casino Las Vegas websites.